Our Department conducts research, education, and clinical work in a wide range of general clinical oncology with a focus on radiation oncology. 1. Research: Our Department focuses on the research of radiation oncology in which our research range from the basic research of radiation biology and medical physics to the clinical research of oncology as indicated below. We are given the opportunity to study abroad at leading research institutions around the world such as Harvard University, NIH, and University of Heidelberg. 2. Education: Our department provides education in a wide range of oncology, not only on radiation biology and radiotherapy, but also on molecular biology, cancer pathology, cancer diagnosis, clinical oncology and heavy ion therapy. 3. Clinical work: Our department provides comprehensive cancer management with mainly radiotherapy for malignant tumors. As radiation oncologists, we collaborate with oncologists in other specialties and provide a complete patient care from diagnosis to treatment including provision of chemotherapy and palliative care. Especially, we are providing heavy ion therapy at our Heavy Ion Medical Research Center, one of the most cutting edge therapeutic technologies in the field of radiation therapy. 4. International activities: our groups actively contribute for International medical welfare through collaboration with the International Atomic Energy Agency (IAEA) mainly by RCA activities in health sector as well as through Federation of Asian organization of Radiation Oncology (FARO) activities as the administrative office and as a regional office of Austral-Asian Journal of Cancer. Basic and clinical research on heavy ion therapy with cooperation of Department of Radiation Oncology at MGH/Harvard University, GSI and Heidelberg University. Research on radiation biology including cancer-related genes, cellular growth factor receptors, hypoxia, and their signal pathway related to radio-sensitivity, radiation-induced apoptosis, and visualization of in vivo hypoxic cells using hypoxic cellular markers. Research on the use of FDG-PET in diagnosis and treatment of malignant tumors. Research on Image guided radiation therapy, especially development of image guided brachytherapy for cervical cancer, hybrid brachytherapy. Clinical research on radiotherapy for prostate cancer, cervical cancer, lung cancer, malignant lymphoma, and so on. Research on medical physics including dose distribution analysis, respiratory gaited radiation therapy, and design of new therapeutic and diagnostic technology. We are given the opportunity to study abroad at leading research institutions around the world such as Harvard University/MGH, NIH, and University of Heidelberg. In addition we promote international cooperative research with an Open-Labo. 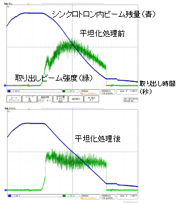 of radiation oncology of MGH in Gunma University. Education in the School of Medicine: Our Department provides lectures and clinical clerkships on radiation biology, medical physics and radiotherapy for the medical students so that they can gain the basic knowledge of radiation oncology necessary for medical doctors. Especially, we have more than 30 beds for in-patient clinic and for students to be efficiently trained in bed-side clinical training. Education in the Graduate School of Medicine: Our Department provides a wide range of education opportunities including classical radiation biology, medical physics, conventional radiotherapy, carbon beam therapy, molecular biology, pathology, and other oncology fields and fosters researchers and clinical oncology specialists in the field of radiation oncology. Especially, our Department promotes the advanced research on heavy ion therapy. Radiotherapy: Our Department provides radiotherapy for more than 900 new patients per year (brain tumors, head and neck cancers, lung cancer, breast cancer, esophageal cancer, prostate cancer, uterine cervical cancers, lymphoma, and others): external body irradiation using three linear accelerators, low-dose rate and high-dose rate brachytherapy (intracavitary irradiation and interstitial irradiation), radioactive iodine therapy for thyroid cancers, and other therapies. Heavy Ion Therapy: Our Department has started heavy ion therapy from March, 2010 and treated patients with head and neck cancers, lung cancer, liver cancer, prostate cancer, and bone and soft tissue tumors. By the 2016 fiscal year, we have treated more than 2300 patients with heavy ion therapy, and in the 2017 fiscal year, we expect to treat approximately 500 patients. In-Patient Care: Other than radiotherapy, our Department provides chemotherapy and palliative care for cancer patients. Diagnosis of patients with malignant tumors: Our Department provides diagnosis using imaging modalities such as X-rays, CT, MRI, ultrasonography, PET, and fiber scope and use these medical images for decision of the treatment strategy and image guided radiotherapy. Our department hold office of Secretary General, Federation of Asian Organizations for Radiation Oncology from 2016. Our department held 28th Annual Meeting of Japanese Society for Radiation Oncology in 2015. Our department held 54th Annual Meeting of Japan Society of Clinical Oncology in 2016. Our Department contributes to the IAEA regional project on radiotherapy in the Asia-Pacific region. Prof. Nakano had been the Thematic Sector Lead Country Coordinator for Human Health for IAEA/RCA activities since 2002. 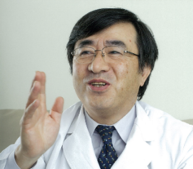 Our Department provides research and educational workshops and lectures to promote heavy ion therapy as well as radiation oncology in Japan and the World. As the office of Japan Chapter of International Research Promotion Council, our department contributes International cooperation in Radiation medicine. As a regional office of Austral-Asian Journal of Cancer, our Department contributes to the development of cancer research in the Asia-Pacific region. As the administrative office of FARO, our Department contributes to the development of cancer care and research in the Asian region. As the administrative office of the authorized NPO Japanese Organization for International Cooperation in Radiation Medicine, we make the international cooperation activities to develop radiation medicine in Asia by supporting international contribution of our country. 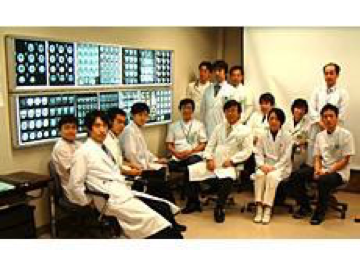 As the administrative office of Gunma Conference for Therapeutic Radiology and Oncology, our Department contributes to the development of radiation oncology and cancer therapy in the Gunma region.